The law regulating most forms of gambling in Cyprus is the Betting Law of 2012. In accordance with this law, gambling operators who wish to provide sports betting services need to apply for a licence to the National Betting Authority. There are two forms of betting licences, and the company needs to have a physical presence in Cyprus or partner with a local company. Class A is a licence for traditional, land-based betting but does not include horse race betting. Class B is a licence valid for electronic, online sports betting but horse racing is, once again, excluded. Online sports betting is the only legal form of online gambling in Cyprus as of right now. Betting Law of 2012 forbade all other forms of online gambling. OPAP, the state-run lottery and sports betting company has been considered exempt from the gambling law, which upset many international gambling operators. In order to better understand the legal status of gambling in Cyprus, one needs to take a closer look at the country. Theoretically the whole island is considered to belong to the Republic of Cyprus, but about 40% of the country is administered by the Turkish Republic of Northern Cyprus, recognized only by Turkey. The Republic of Cyprus is a member of the European Union. As such, the country should adhere to regulations set by the European Commission. International gambling operators have argued that Cyprus goes against EU policies by providing unfair advantage to OPAP. However, there have been no sanctions on the part of the European Union as of yet. The divided nature of the country also poses a difficulty, as gambling laws are much more lax in the Turkish part of Cyprus, though these laws are not acknowledged by the Cypriot government. Casino gambling is now legal in the Republic of Cyprus. Licences for the single casino resort and the gaming machine premises (slot machine halls) have not yet been issued. Land-based casinos are available in the Turkish part of the country. Online casino gambling is currently illegal in Cyprus. The new casino gambling regulation does not extend to online gambling, and online gambling apart from sports betting is banned by the 2012 betting law. There have been reports of players, as well as operators arrested and fined for online gambling. Foreign casino gambling sites are also often blocked by ISPs. Online bingo on the other hand is illegal under the Betting Law of 2012 which bans all forms of online gambling apart from sports betting. Operators and players may be prosecuted for participating in illicit games. The legal status of poker in Cyprus may be difficult to grasp at first. According to the 2014 gambling law, casinos – or rather, a casino – is now legal in the Republic of Cyprus, but there are no actual casinos yet, which also means no legal poker. However, many of the casinos located in Northern Cyprus have poker tables. Online poker is banned by the 2012 betting law. There are no Cypriot online poker sites, and foreign sites may be blocked. Players may also be arrested for gambling online. Sports betting and online sports betting are legal in Cyprus in accordance with the Betting Law of 2012. Sports betting operators must acquire a licence from the National Betting Authority. Land-based sports betting companies operate under a Class A licence, while Class B is valid for online sports betting. 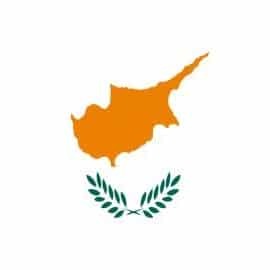 The largest sports betting operator in Cyprus is still OPAP, considered exempt from the regulations of the betting law. OPAP offers sports betting only in the form of wagering on soccer matches. Lottery is a legal in Cyprus. The country has a national lottery run by the Ministry of Finance. Still, the largest lottery operator in Cyprus is OPAP, offering various numeric lottery games along with sports betting. Currently no online play is available. In accordance with the 2012 betting law unauthorized online gambling of any form is illegal. As no licensed Cypriot lottery operator offers online games, there are currently no legal options to purchase lottery tickets online in Cyprus. As decreed by the Betting Law of 2012, all forms of online gambling apart from online sports betting are illegal. Bitcoin gambling is definitely considered a form of online gambling despite the use of the virtual currency, and is considered illegal. This guide focuses on the legal status of gambling and online gambling in Cyprus. Interestingly, since 2015 even casinos and online casinos are legal in Cyprus.